Each of our furniture installation teams is led by an experienced project manager and is capable of building cubicles, workstations, panel systems, desks, chairs and other furniture pieces. We can quickly stage, sequence and install both free standing and modular office furniture and will work quickly to transform your office into a usable and efficient space. 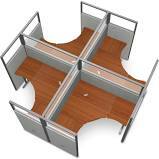 We also plan and facilitate removal of workstations and the modification of existing space when downsizing. Allied Systems Products is a full-service office furniture installation company. We provide assembly services for office panel systems, desks, cubicles, chairs, file cabinets and other modular office furniture. We offer mounting services for a range of office products including but not limited to cork boards, white boards, visual boards and projection screens. We help companies move through workplace transition and expansion. Whether we’re setting up new workstations or managing an entirely new furniture system install – our crews are trained to treat your project with ultimate efficiency regardless of project or company size. If you want your furniture installation, moving or repair project to come in on time and budget give Allied Systems Products a call at 1-800-877-8038.